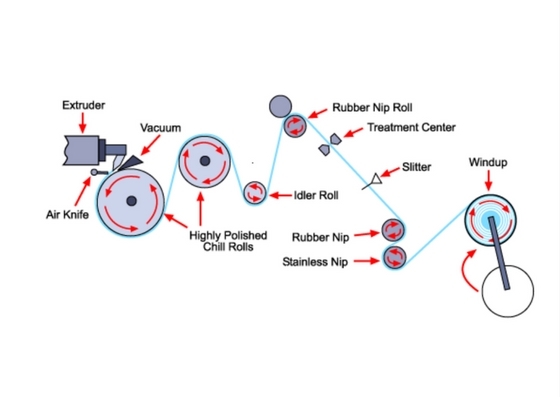 The manufacture of cast and blown pallet wrap film begins with the extrusion of heated resin. Once melted and at the correct temperature for the necessary viscosity, the resin is pushed through a die to create a continuous layer of plastic. Blown film is created as the heated resin is fed through a circular die and then blown out vertically into a large bubble. 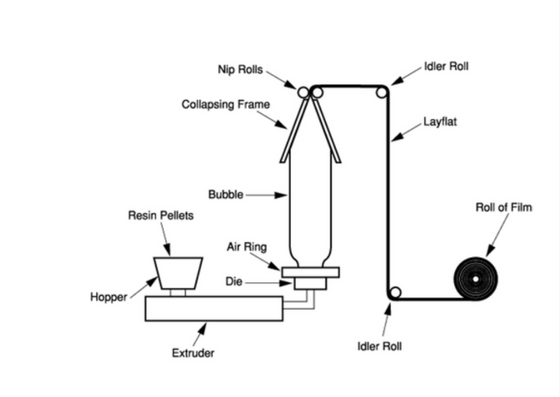 This bubble is then cooled by the surrounding air and drawn through rollers to collapse the bubble and wind the film. For the casting process, the heated resin is extruded through a linear die onto cool rollers to solidify the film before being wound. Not sure which pallet wrap film is most effective for your application? Contact us today to speak to one of our Packaging Consultants!